I'm going to try to catch up a little bit with the blog and maybe share a little bit of my life around here! 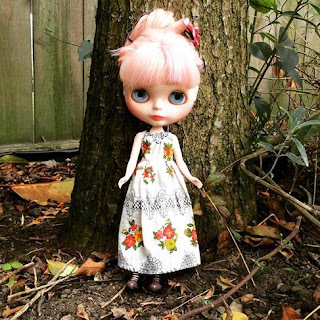 I had been very busy with the BlytheconUK in London and the Blythecon USA in Chicago. It was my first time in the states and I totally love it! Chicago is such a great city! Now I'm enjoying the beginning of the Summer here in Auckland! My little Candy in my new garden!